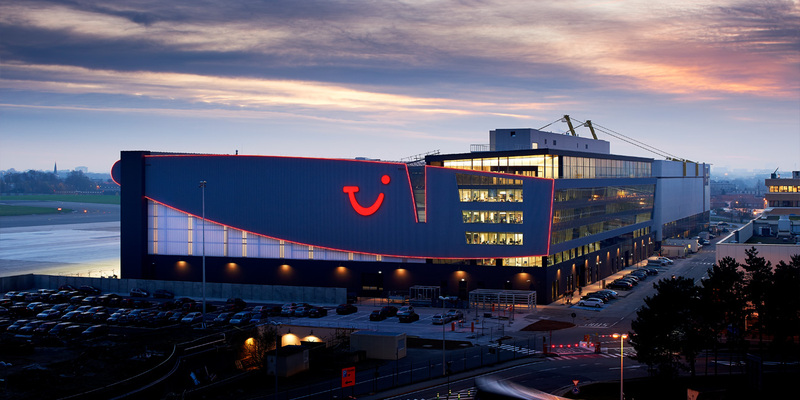 The new headquarters of TUI Belgium is noticeably different from conventional structures at and around airports. Fresh, vibrant design reflects the spirit and image of the young dynamic company while making a remarkable form of advertisements in an unconventional location. 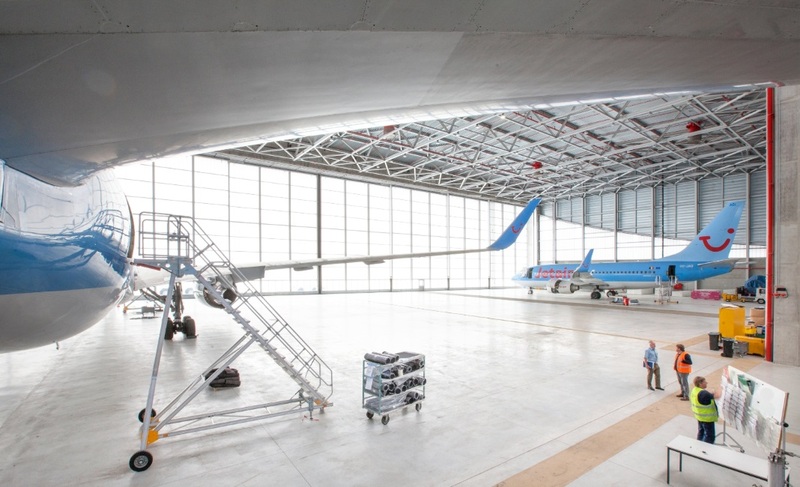 Particularly the wing-shaped roof structure with its color-shifting coating catches the eye, the building also meets the strictest criteria of sustainability. 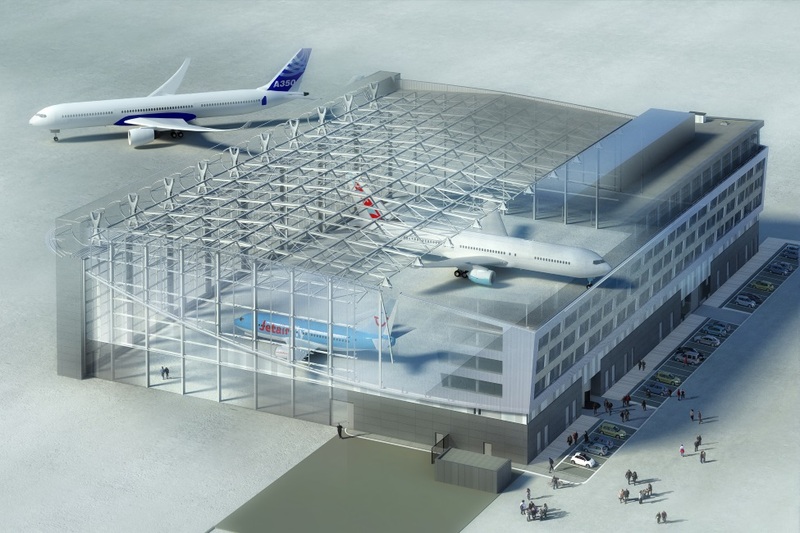 The project combines several important demands of the client. 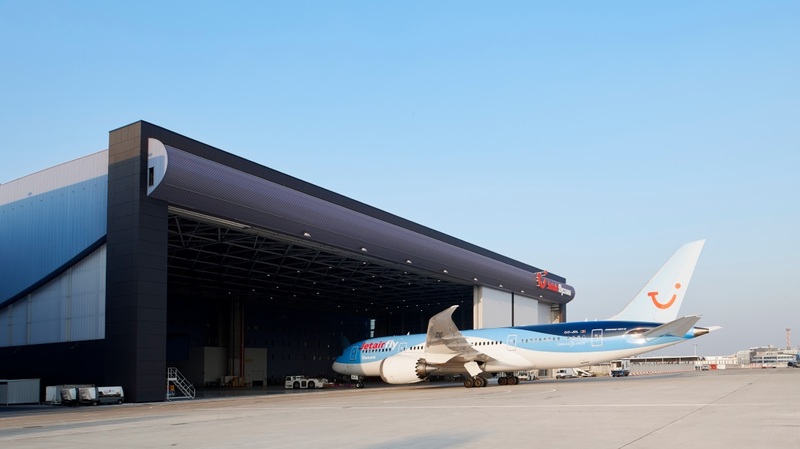 TUI and Jetair have grown so rapidly that both the fleet and the airplanes in it have increased in size, therefore the new hangar had to be spacious enough to accommodate suitable aircrafts. 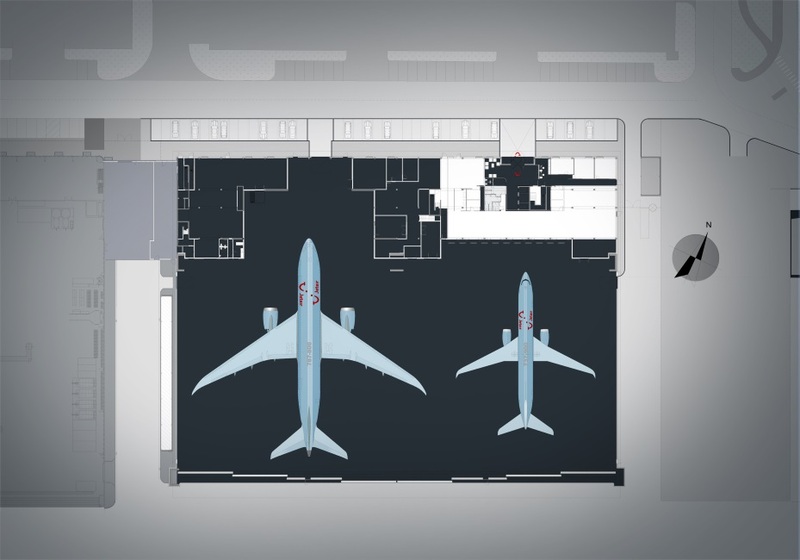 It was also a good opportunity to bring other TUI services in one location with a strong presence and enough internal contact between the various services. ria.